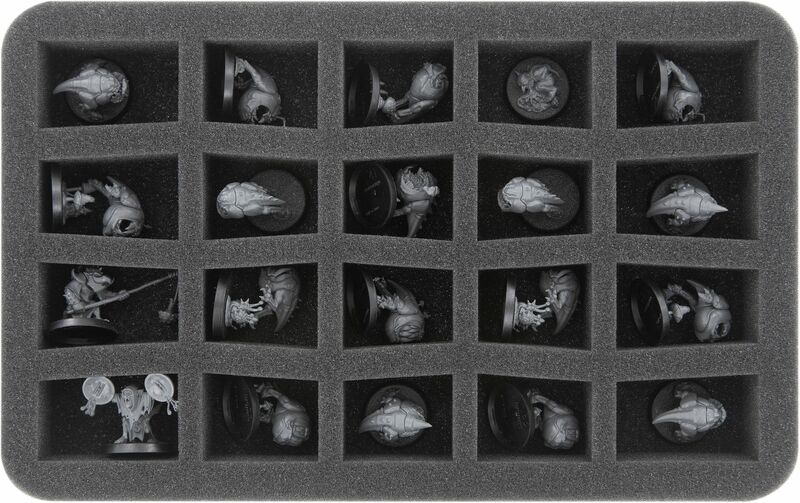 With this Half-Size foam tray you get 20 compartments for the smaller Gloomspite Gitz models. It is therefore ideal for neat and safe storage of Squigs, Stabbas or Shootas. 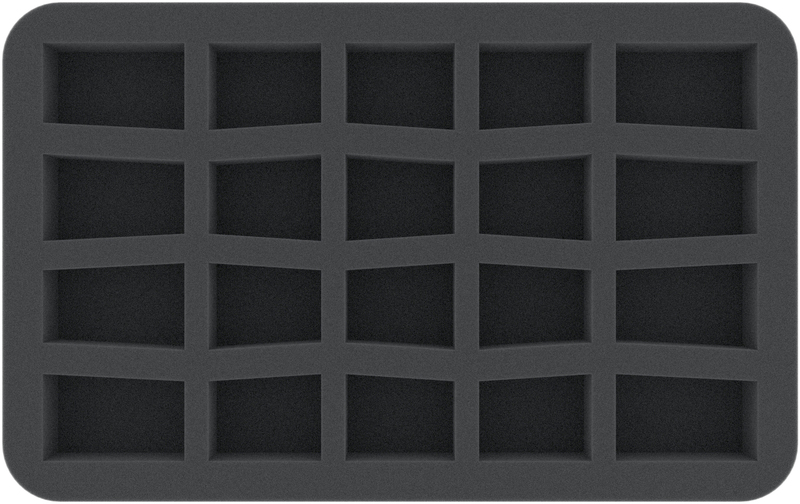 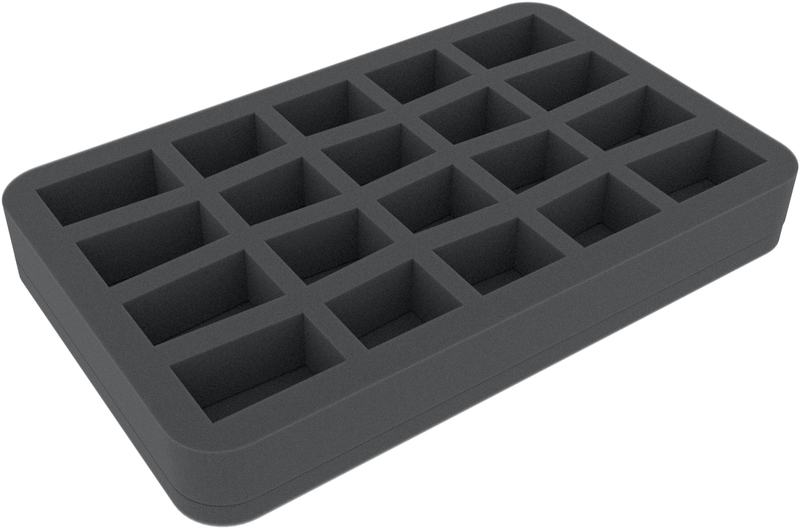 This foam tray has the dimensions: 275 mm x 172 mm x 35 mm total height (25 mm usable height + 10 mm foam base).